Melbourne’s love affair with coffee has been long-term, passionate, and sometimes controversial. 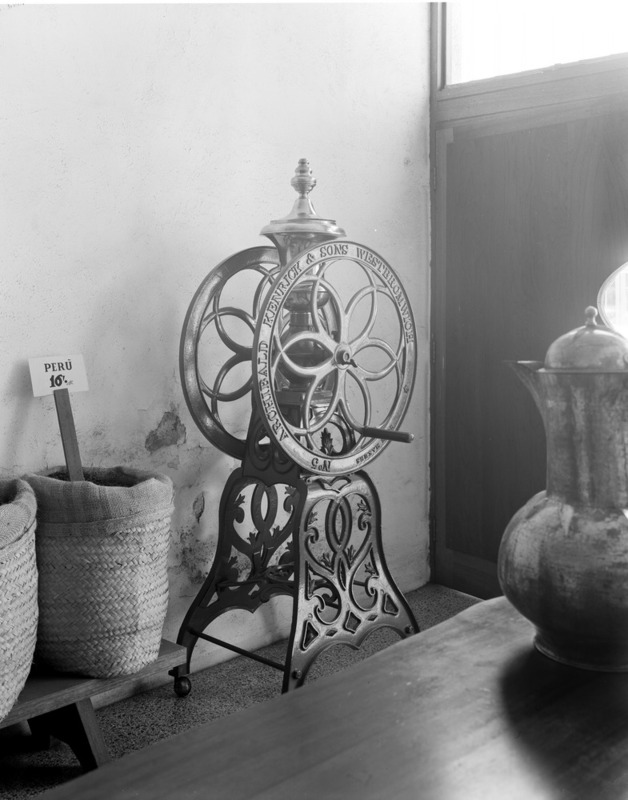 In colonial times, street stalls on Hoddle’s Grid sold coffee to passersby. Most of the stalls were run by men. 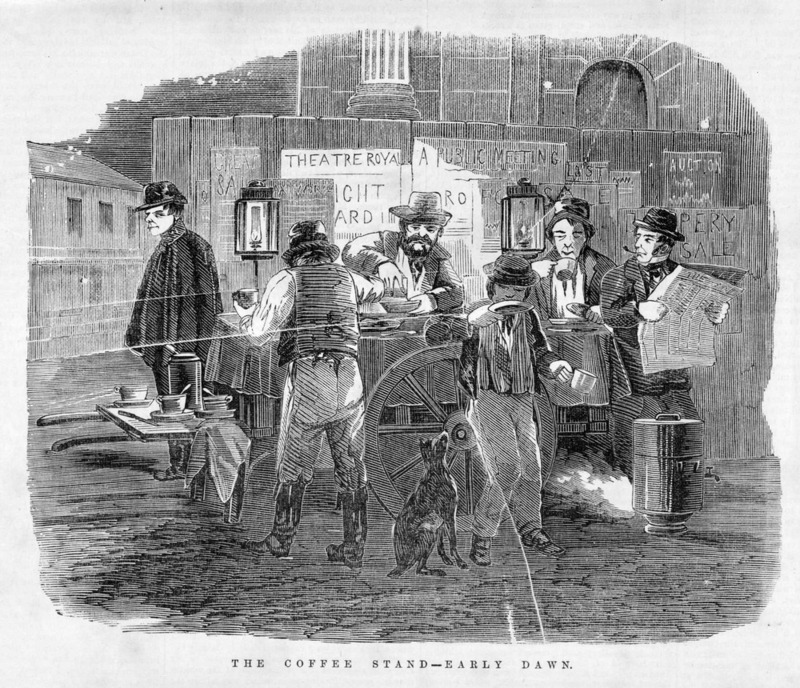 Up to the early 1870s, Melbourne’s coffee stalls could stay open all night long. Shopkeepers believed they were good for business. Restauranteurs disagreed, arguing the stalls stole their business and attracted riff raff. 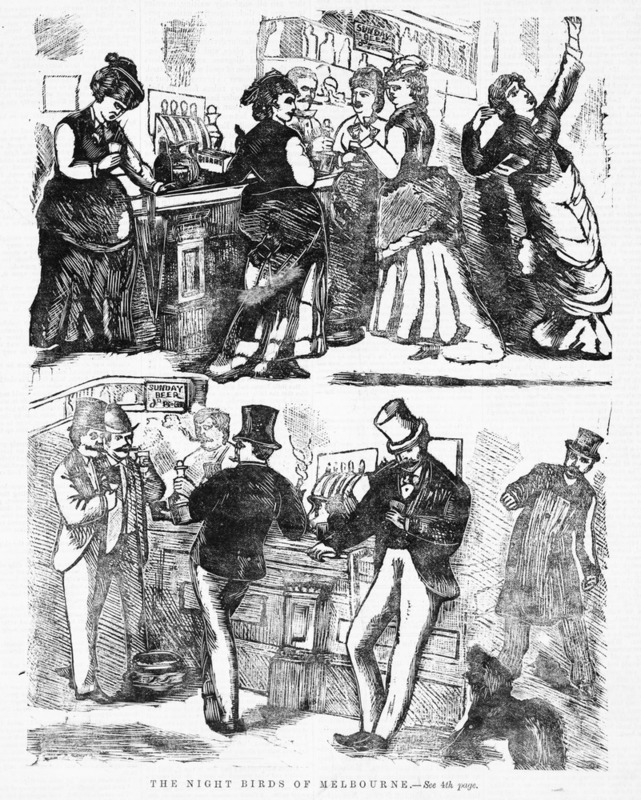 The emergence of the temperance movement saw the emergence of coffee taverns and coffee palaces in the 1880s. Perhaps the most famous of these was the Federal Coffee Palace, which housed ‘over 500 drawing, dining, reading, sitting, smoking, billiard and bedrooms and the largest dining hall in the country’ . 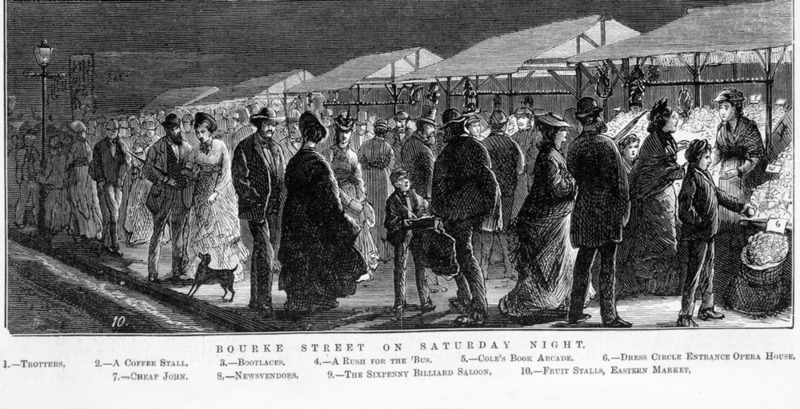 However, the financial woes of the 1890s saw the popularity of Melbourne’s coffee palaces decline. Twentieth century Melbourne saw the rise of cafes and coffee lounges. Cafes such as Fasolis and Café Petrushka played host to Melbourne’s bohemian crowd, attracting writers, poets, artists, and hangers on: the ‘famous, near-famous, flash-in-the-pan famous…famous to be’, and ‘garrulous never-to-be-famous’ . The arrival of American troops in Australia during World War II heralded a marked increase in the quality of Melbourne’s local coffee brew – from a boiled concoction featuring chicory essence – to a more sophisticated brew using the latest coffee roasting and grinding techniques from America. . In the fifties a coffee revolution occurred. 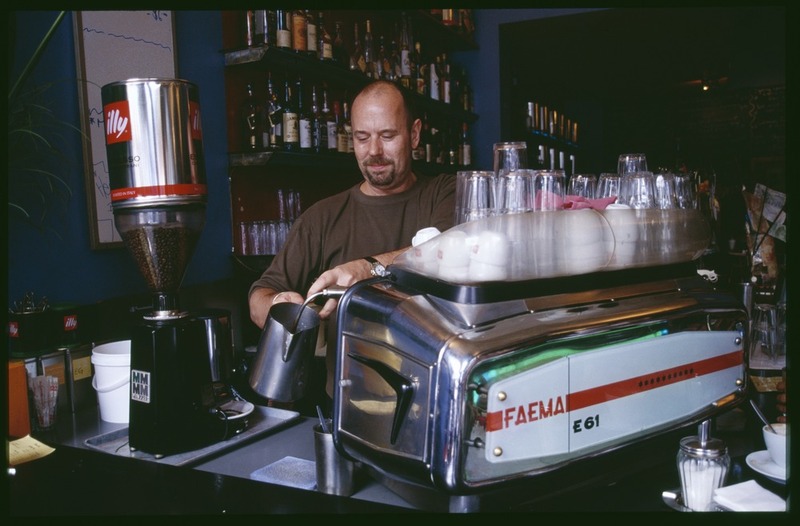 Melbourne experienced an influx of post-war migrants, and with the Italians came the espresso. 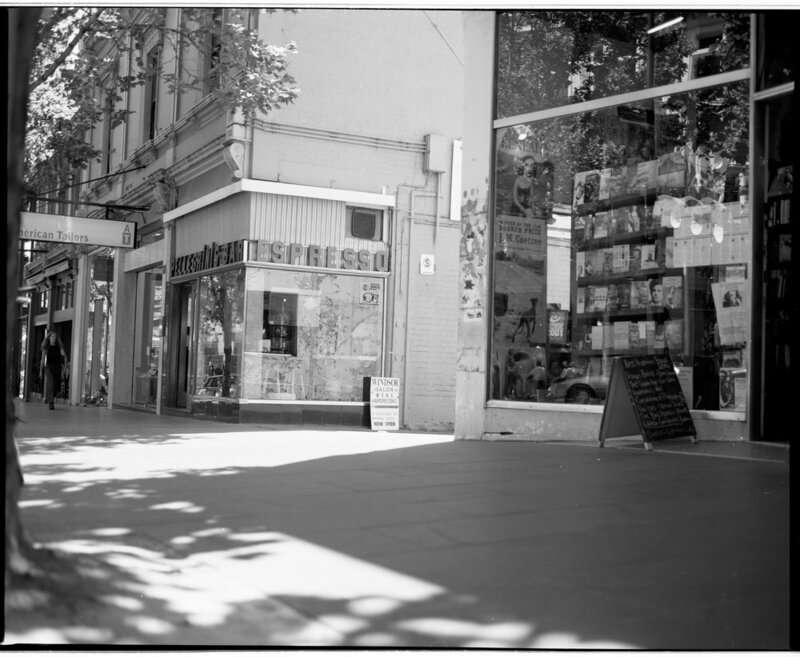 Mario Brunelli’s grocery at 262 Lygon Street began serving coffee with an espresso machine. Others followed. In May 1954, Melbourne coffee pioneers the Bancrofts opened the first espresso café with a commercial coffee machine. Espresso bars flourished in Melbourne’s city and its suburbs. They served as both a place where migrants could meet and socialise, and a breath of fresh air for Melbourne’s existing residents. Not everyone was enamoured though. Conservatives denounced espresso bars as magnets for unsavoury characters and illegal activities. On 14 January 1961, The Truth newspaper ran an expose on ‘espresso bar vultures’, alleging that espresso bars were being used as a cover for prostitution rackets. In the ensuing weeks the press ran stories on migrant-led vice. An interview with an ‘Espresso Bar Girl’ called ‘Jill’ was broadcast on radio and tv. Melbournians listened spellbound as ‘Jill’ outlined how she was victimised by teenage prostitution gangs in the city’s espresso bars. Today, Melbourne’s coffee culture is revered around Australia. The Italian community is at its heart. Cited in Brown-May, Andrew. Espresso! Melbourne Coffee Stories, Arcadia, Melbourne, 2001, p. 18. Brown-May, Andrew. Espresso! Melbourne Coffee Stories, Arcadia, Melbourne, 2001, p. 28. Porter, Hal, The Paper Chase , p. 98. Brown-May, Andrew, Op. Cit., p. 38. A nice article on our coffee culture, something close to my own heart. Great to see some fine images from the SLV collection too. 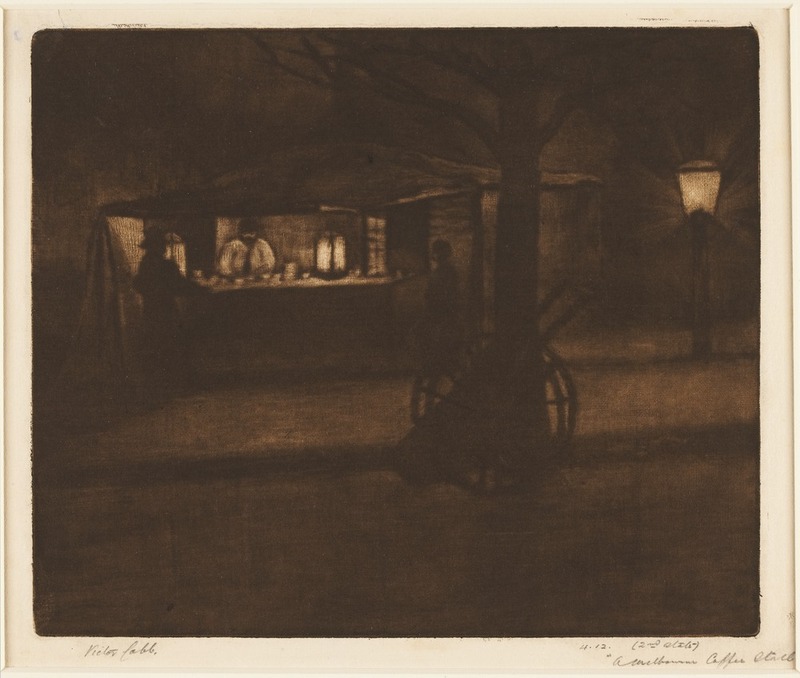 I enjoyed your little ‘cup’ of Melbourne’s coffee history and the lovely images, particularly Victor Cobb’s beautifully moody mezzotint. I am not familiar with his work and will be searching your collection for more. Coffee lovers may know that Brunetti Cafe in Carlton has a FAEMA E61 as a feature piece at one of the tables there – it’s worth a visit. Thanks Susan. Yes, the mezzotint is wonderfully evocative, isn’t it. Great to know that some of the old vintage espresso machines are still around too. The first espresso machine in Australia, according to the Massoni family, was installed by Rinaldo Massoni at the Café Florentino in 1929. With a mixture of Italian family pride and good Aussie idiom, a Massoni descendent says: “The first commercial espresso machine was installed in the Café Florentino, Burke Street Melbourne by my grandfather Rinaldo Massoni in 1928. Patrons were delighted as this large machine hissed, plumed and gushed streams of aromatic coffee, which they promptly drank copious amounts of this delicious liquid. Hi Peter, Thanks for your interest in our blog. The contribution of Rinaldo Massoni to Melbourne’s coffee culture is acknowledged on pages 50-51 of Espresso! Melbourne coffee storieshttp://search.slv.vic.gov.au/MAIN:SLV_VOYAGER1057905. Historian Andrew May writes: ‘The Florentino restaurant is credited with having one of Melbourne’s earliest espresso-style’ machines. When the restaurant farewelled its ‘boiler-shaped coffee machine’ in 1952 for a new Italian machine it was estimated that ‘the old machine had made over seven million cups of coffee from 30 tonnes of beans’. However, the rise of the post war ‘espresso bar’ culture in Melbourne is generally attributed to the 1950s, and it is in this context that Mario Brunelli’s espresso machine was significant. Cheers, Sarah. Wonderful to read this history of coffee falling in and out of favour in Melbourne. Those early pictures seem a world away from today. I love social history. What a well researched, interesting piece. BTW, I started an Australian Social History FB group last year. Thanks for this information. I love reading about the history of Melbourne. In the 1940s and 50s my mother, who was of British descent, loved her coffee. She purchased it from the local grocer in East Malvern, who displayed the beans in hessian bags, and ground them to order with a large electric grinder. She prepared the coffee with a dripolator. Not espresso, but still very aromatic.